Navigation by the stars was good enough for our adventurer forefathers, and while it’s a great skill to have if you’ve got the time and inclination, having a compass and GPS map tracker on hand can make life a lot easier, and save you a lot of time when it comes to getting where you’re going. For serious explorers, a solid GPS Navigation system and 3-axis compass are essential pieces of kit for staying safe and on track. We’ve picked a few of our favourite navigation devices, which combine a high-quality compass, GPS, altitude and barometric pressure indicators. There’s something here to suit every budget, and as always at Camping Things, we combine quality and value, to ensure you get the best, whichever one you pick. 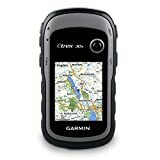 Awesome for hiking, cycling and mountain climbing, the Garmin eTrex 20x Handheld GPS Navigation is the updated version of the popular Garmin eTrex 20. 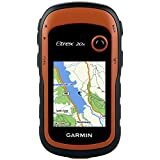 It comes with enhanced screen resolution and an even more accurate map of Western Europe The eTrex 20x is rugged, affordable, and comes with mounts for bicycles and other kit. Track GLONASS and GPS satellites simultaneously with the eTrex. Also supports geocaching GPX files for downloading geocaches and details straight to your unit. 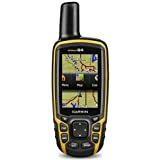 As you’ve probably noticed, we’re big fans of Garmin gear, and the Garmin eTrex 20x Handheld GPS Navigation is a fantastic update, and an awesome addition to any trekking kit. Superb build quality and outstanding performance. Enhanced 2.2 inch, 65K colour, sunlight-readable display. Upgraded interface, still able to withstand dirt, dust and rain. 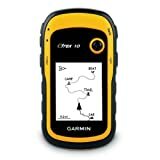 Pre-loaded topo map of Western Europe, SD card slot available for loading additional maps. Lock onto 24 more satellites than GPS alone, making global navigation even more accurate and comprehensive. 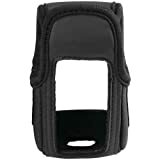 This is one serious upgrade, meant for serious trekkers who love to travel. Technical trekkers in need of highly accurate European navigation. This is one serious upgrade, meant for serious trekkers who love to travel.